Expectations at Wolverhampton Wanderers are high–the highest they’ve been in 50 years. The Chinese conglomerate Fosun International took over in the summer of 2016, and immediately implemented a 10-year plan to bring silverware and European football back to Molineux, only three years after consecutive relegations saw the club fall from the Premier League to the Championship to League One. Wolves fans can be forgiven, then, for wanting all evidence of a 20th-placed finish in the top flight in 2012 and relegation from the second tier the season after wiped away, whilst Nuno Espírito Santo’s side sits pretty in the top flight. Even after losing the past three matches, Wolves are comfortable in 11th place, just five points off the top six. Even further back, older generations of Old Gold fans will remember the nightmare of the 1980s, which saw Graham Turner’s side struggle in the Fourth Division under receivership less than a decade after Andy Gray’s header earned a 1-0 win in the 1980 League Cup final against Brian Clough’s Nottingham Forest – the riches in WV1 and the desperate times of the past are worlds apart. 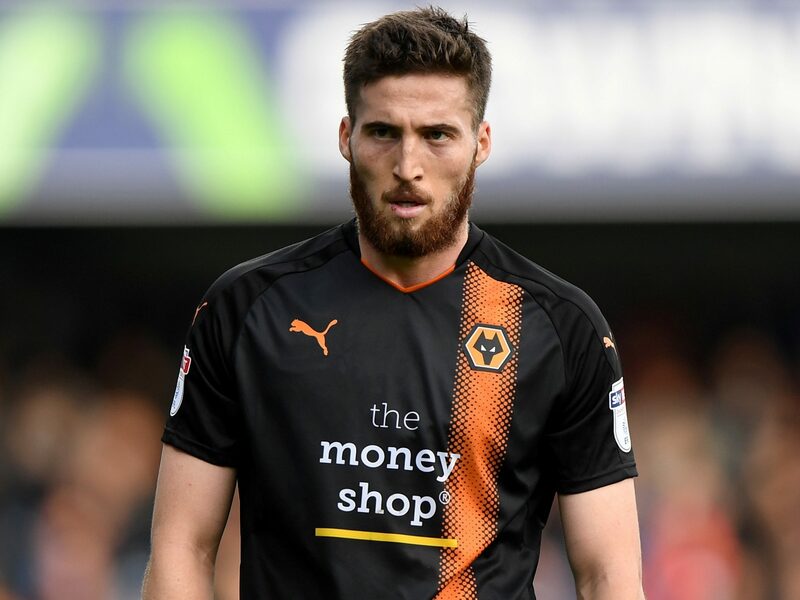 But, one player remains from the squad that finished in last place of the 2011-12 Premier League season under Mick McCarthy and then Terry Connor: Dublin-born right-back Matt Doherty. An energetic, strong and enterprising wing-back, the 26-year-old was a bit-part player in bygone days before rising to prominence in the 2015-16 season – a time before the Fosun revolution, as part of an injury-hit, mid-table Championship outfit at Molineux managed by Kenny Jackett. Doherty joined from Bohemians of Ireland aged 18 for £75,000, having worked with his father in his family’s upholstery business, and made his Premier League debut in a 2-1 defeat to Liverpool in September 2011. He was the only player from the squad that day to feature against Everton on the opening day of this campaign. He assisted Raúl Jiménez’s winner against Burnley and Jonny Castro Otto’s first strike for the club against Southampton in September, before scoring the only goal of the game as Crystal Palace were narrowly beaten 1-0 at Selhurst Park on October 6. The aforementioned games came during a run of four wins and clean sheets in five games, including a 1-1 draw at Old Trafford against Manchester United; his impressive displays earned him the PFA Fans’ Player of the Month award for September, ahead of Eden Hazard, Alexandre Lacazette and Sergio Agüero. His club performances have not gone unnoticed by Ireland manager Martin O’Neill, who gave him his first start of his international career on October 13 against Denmark, just days after becoming the fourth Irishman in Premier League history to win the Player of the Month award. He would start the following game against Wales too. He played in Wolves’ most recent tie, a narrow 3-2 home loss to Tottenham Hotspur, and handled the threat of Son Heung-min on Spurs’ left flank well. His form is the polar opposite from his nightmare display against Leicester City on the second match day of the season, in which he missed a golden chance to put Wolves 1-0 in front, scored a comedy own-goal to hand the Foxes the lead, and was on the receiving end of a horror challenge from Jamie Vardy, which earned the former-England striker a red card. Six seasons ago, under Stale Solbakken and then Dean Saunders, he featured only 13 times as his side struggled to 23rd-place and fell to League One. He played 90 minutes as relegation was all but confirmed against Burnley at Molineux, sparking horrific scenes as fans invaded the pitch upon the final whistle, desperate to show their anger and disgust at the club’s owner at the time, Steve Morgan CBE, and chief executive Jez Moxey. In the third tier in 2013-14, he was still a backup player, owing to the form of captain Sam Ricketts on the right side of the defence and Scott Golbourne on the left. He deputised on both flanks, as Jackett admired his versatility, but he was still rarely trusted to start as the title was won with a record-breaking points tally of 103. Jackett was, and still is, credited for stabilising the club in the Championship after two nightmare seasons in 2011-12 and 2012-13, and Doherty began to grow into his side. He featured 33 times in 2014-15 and enjoyed an excellent 2015-16, scoring a sublime 35-yard half-volley against Fulham before winning the club’s 2016 Player of the Year award. After Fosun’s takeover, and the appointment of Walter Zenga, he continued his good form. When the Italian was sacked, he impressed at left-back under Paul Lambert, scoring a stunning free-kick away to Stoke City in the FA Cup third round in January 2017. It has been under Nuno, though, that he has played his best football in the West Midlands. The Portuguese implemented a three-at-the-back system from the beginning of his time in England, moving Doherty to right wing-back. The former Valencia and Porto manager has shaped Doherty physically, making him suited to his back-and-forth, tireless role. In an interview with the Daily Mail last week, the Irishman revealed that he weighed 89 kilograms in June 2017, and was perhaps at over 90kg at various points of his career, but is now at 86.5kg with less body fat thanks to a vegan diet, a better lifestyle and Nuno’s management. He is agile, energetic and unpredictable on Wolves’ right flank, always available on the overlap in support of the forwards in front of him. Last season, as Wolves won the Championship at a canter with 99 points, he played 45 league games, missing only a tie against Hull City through suspension in April. He scored four goals: a well-taken turn and finish away to Reading, a header against Ipswich and a brace when the Royals travelled to Molineux in March. He also notched five assists, whilst forming a bountiful partnership with Barry Douglas. The Scotsman was moved on to Leeds United over the summer and Ruben Vinagre has made an impact of the substitutes’ bench so far, but Doherty has kept his place in Nuno’s Premier League side, playing every minute of the campaign. At the start of the season, large sections of Wolves fans called for a replacement for the Irishman. His performance against Leicester did not help his cause, particularly after João Cancelo was rumoured to be joining the club from Valencia, before choosing Juventus. Amidst all that has gone on in the last few seasons, it is heart-warming to see Doherty consolidate a spot in the starting line-up, becoming a mainstay at Molineux through thick and thin. He provides a link to a time when challenging England’s elite clubs was a dream at Wolves, when the focus of the team was a run-of-the-mill tie in the third tier and not Arsenal at the Emirates Stadium. He will be looking to continue his excellent form against Pierre-Emerick Aubameyang and co. this weekend.